Stick with What Your Good At! Home / The Flock / Stick with What Your Good At! 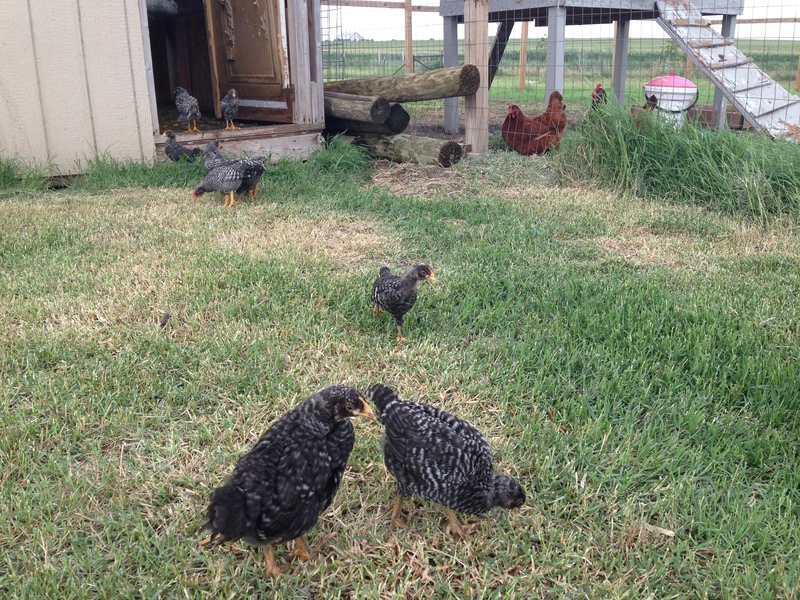 Over the last couple of years we have experimented with chickens, rabbits, and even Tilapia. We still have all 3, but as a homesteader you have to analyze the cost vs. reward. Our rabbit litters did okay, we have only had a few survive due to good/bad moms and summer heat. However, with chickens we have successfully mastered the art of incubation! Mr. Crab monitored our next batch of little chicken nuggets and hatched 35 of 39! One egg was not fertilized at all (which you can catch early on with consistent candling), 1 pipped but did not make it out, and the other did not pip at all. We found we are REALLY good at hatching baby chicks. Now we have 48 chicks that are 6 weeks old and younger and we have no room! 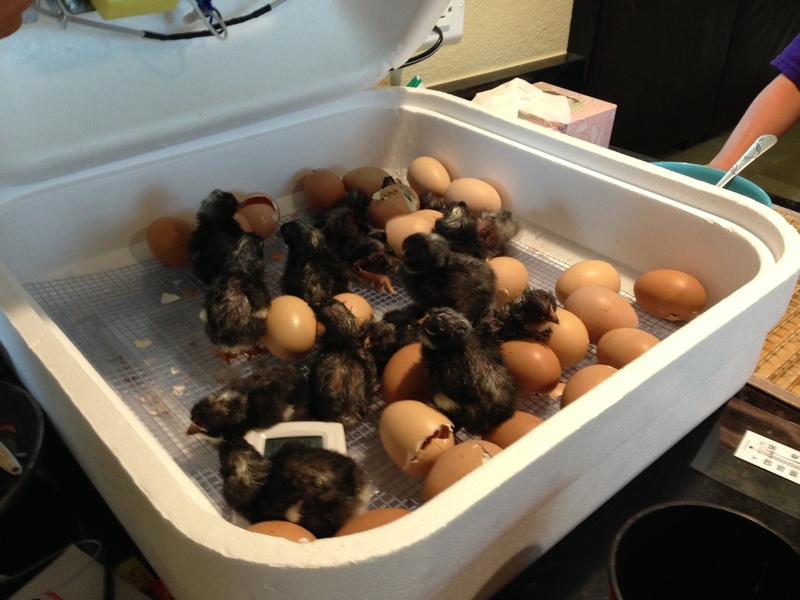 Our newest batch of chicks, super successful! So, what is a person to do with too many chickens, you may ask? Well, you use them for what God intended, Eatin’! We have never slaughtered/prepped a chicken before but are definitely curious as to how to make it as simple as possible. We have 10 older hens on the chopping block and discovered an easy way to pluck them. I mean, who wants to pluck all those chickens? We have been introduced to the WHIZBANG CHICKEN PLUCKER! We are currently reading up on how to make one of our own because, frankly, they are just too expensive to go out and buy unless you are a commercial chicken processor. It seems pretty simple, but will be posting our progress once the building begins. 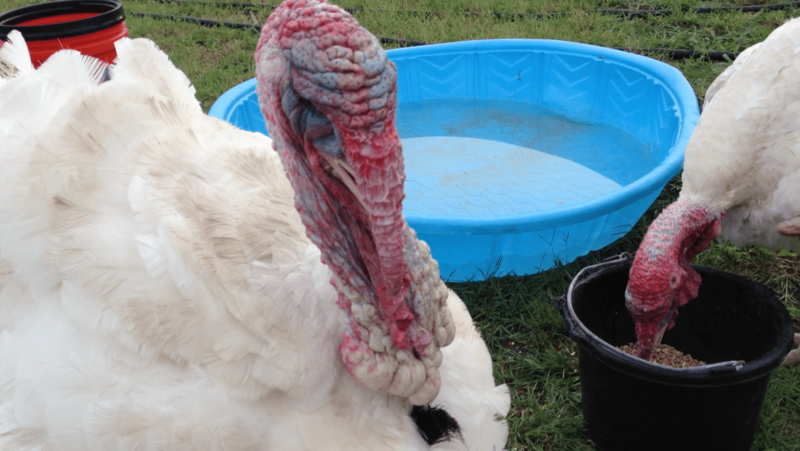 In the mean time, we have acquired 2 turkeys from the local school Ag Dept that needed someone to take them before school let out…so we are thinking poultry is our niche! They are very mellow and we have really enjoyed them and their gobbling 🙂 I honestly was not sure how I would like them. 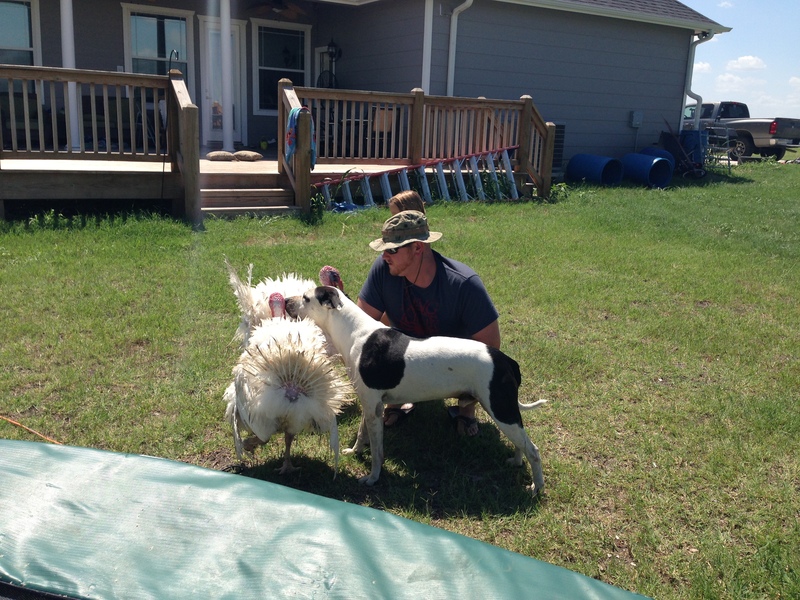 I think I may like them more than chickens…but shhhhh….don’t tell my ladies I said that! For now, here are some pics of cute chicks and our new turkeys! 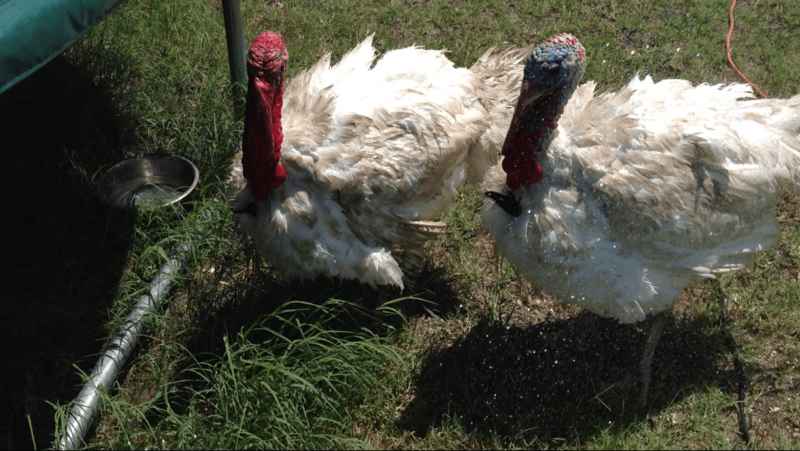 The new Turkeys getting sprayed with water under a hot Texas sun! 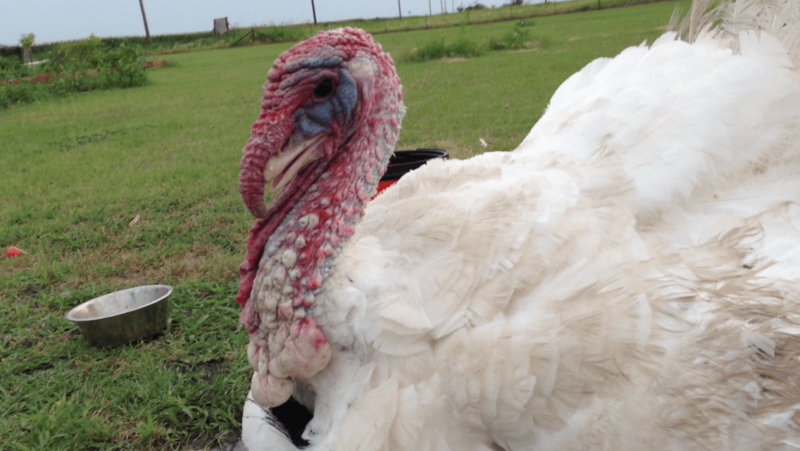 This Turkey’s Close Up, really neat how the neck and head change colors from blue to red! Interesting enough, they actually like sitting in the baby pool! Oh so true. I have been trying all different breeds of chickens and finally have come to the same conclusion as you. Trial and error!! I figured we would figure it out eventually and it’s nice to know that we have animals that we know work well with us. It’s definitely comforting to know others have gone through the same thing!